Laugh until your cheeks hurt with our silly, crazy and colourful clowns. Perfect for kiddies three years and up, invite them to your next party. 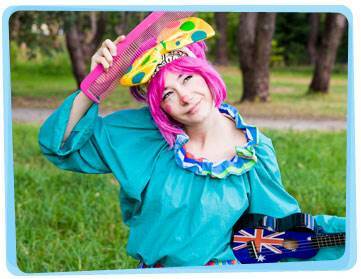 Whether you want to hire a clown for a kids party or another function, Yabadoo has the best clowns for hire in Canberra. 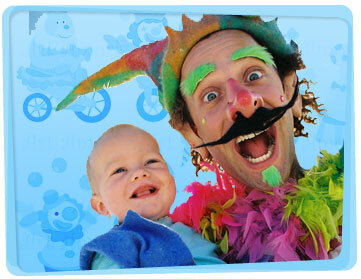 Our kids party clowns perform a comedy magic show that has been especially designed for pure fun and excitement. We’re sure it won’t just be the children laughing but mum and dad too! Our clowns for hire also entertain kids with face painting, games, balloon art, temporary tattoos and more. For your little one’s special day, our birthday party entertainer will create a unique modelled balloon and present it to the birthday child during the magic show. Whatever your requirements, our clowns for hire in Canberra will work closely with you to create the perfect plan to make your children’s birthday party, corporate event, childcare centre, fete, council festival or any other special day even more extraordinary! We were very happy with your service and will definitely be recommending Yabadoo Kids Parties to all our friends. Our six year old daughter still talks about the party and still incorporates it in to her imaginary play! Please pass on our feedback to the entertainer as well! 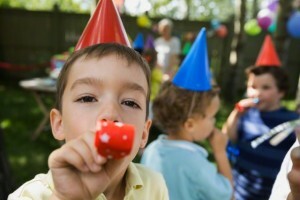 Cheers, Sarah M.
Searching for clown party game ideas to play whilst waiting for your entertainer to arrive? Form a pyramid by stacking cans in rows. Give the child 3 small balls to hit the cans with. The goal is to knock down all the cans within three tries. The kids who knock down one or two cans get a prize, but a special prize awaits the one who knocks down all the cans. 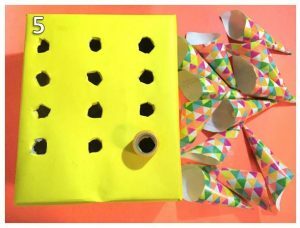 For older kids, you can put a bit of water inside the cans to make it more challenging. Incorporate the fun and excitement of your party with this clown party food idea! 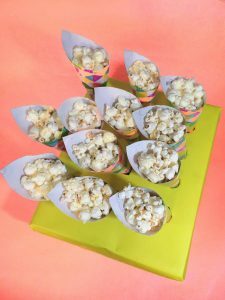 Kids won’t be able to resist the goodies when you put them in these colorful cones. 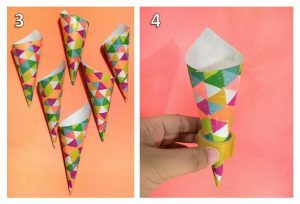 Cut out small rectacngles from the decorative paper, then curve it to make a cone. Tape the edges to secure the cone. Find a circular object in your home that has a diameter wide enough to hold the cone upright. Wrap your shoebox with decorative paper and position it with the bottom end up. Stencil the circular object in rows. Slice it using a cutter. Put your cones into the holes. Use this to hold popcorn, chips, or fries!